– Succession of people: Waitaha; Ngati Mamoe; Rangitane; Muaupoko. – Whalers on the scene. – Tamati Waka Nene Patuone, Te Rauparaha visit the area. – Te Rauparaha commences his migration from Kawhia with Ngati Toa. – Whalers like Bush, Rutherford, Burns, Evans, Lewis arrive. – TeRauparaha commences living at Otaki – Kapiti. – John Guard and Dicky Barrett, begin whaling in the area. – The “Tory” arrives and so do Henry Williams, Octavius Hadfield and E.J. Wakefield, seeking land for settlement. – Paekakariki Beach becomes the ‘road’ north for both Maori and settlers. 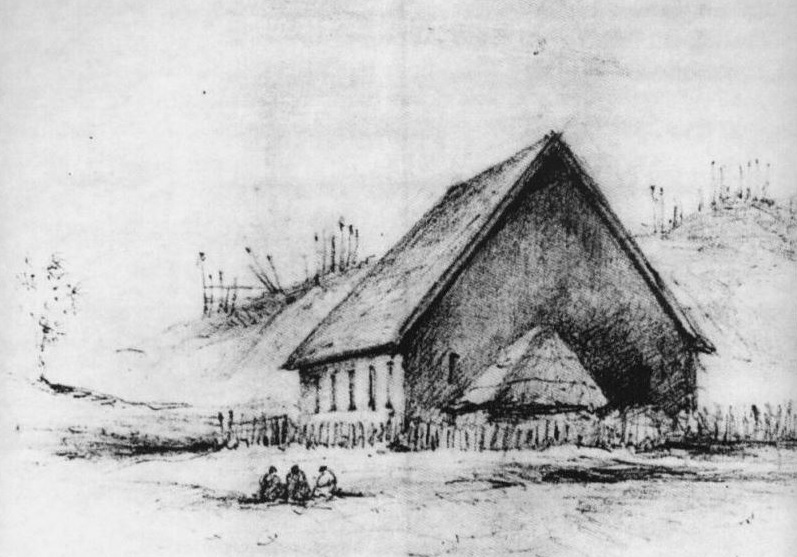 – The Church ( Rangiatua ) is built at Kenakena – Paraparaumu Beach North. 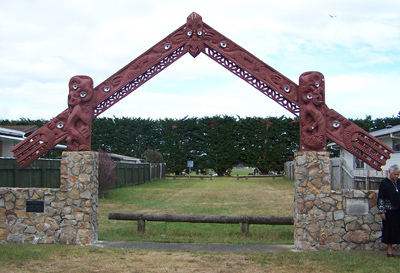 – Disputes over land sales in the Hutt Valley led to war involving Maori led by Te Rangihaeata and government troops assisted by friendly Maori. 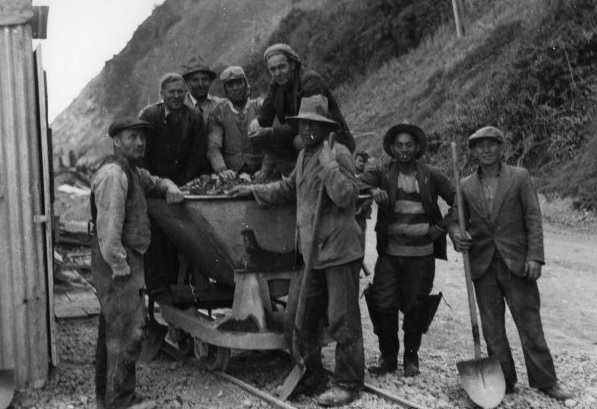 – The road from Wellington to Porirua is finished, and extended to Paekakariki over the hill and was built by Royal Engineers and Te Ati Awa workers. – ‘Scotch Jock’ Nicol and his wife, Kahe Te Rau-o-Te-Rangi, open the first Paekakariki Hotel. – Cobb & Co establish a coach link between Wellington & Wanganui. – Sale of Wainui and Whareroa Blocks to the Crown. – Crown grants ‘Tunapo’ (top of Paekakariki Hill) to Francis Smith. – Coach service over Paekakariki Hill commenced. Otaki and Paekakariki were centres for inns, trade and mail. – Captain Henry Lynch granted 1200 acres for military service. – First Post Office opened – In the pub. – Aperahama Mira lodges claim for land in the district in Maori Land Court. – Mackay leases the Whareroa plateau. – First meeting of Hutt County Council (Kapiti being in the Horokiwi Riding). – First Railway Station, house and signal box constructed. – Paekakariki Police Station opened. – First School opened on Smith’s land. There was also two other Pakeha families, the Lynch’s and the Mackay’s. – Post office transferred to railway station with stationmaster as postmaster. – WMRCo Locomotive No.13 derailed at tunnel No.13. – First house built by Emily Tilley – now the Playcentre. – Paekakariki 1st subdivision for holiday homes adjacent to Beach Road. – St. Peter’s Church opened. – New Zealand Railways took control of Wellington Manawatu Railway Co.
– Present Station and Signal Boxes opened and marshalling yards developed. – Station Refreshment rooms opened – Private lease. – Permanent Post Office opened. – Surf Life Saving Club founded by railway workers. – New combined post office and residence built, with manual telephone exchange. – Holtoms Building in Beach Road erected. – Wally Leach presented movies @ St Peters Hall. – Public Water Supply opened & septic tanks replaced tank water for sewage. – Wellington Road and The Parade north to Henare Street built. – NZR took full control of Station Refreshment Rooms. – Kaka tearooms built below hilltop on hill road. 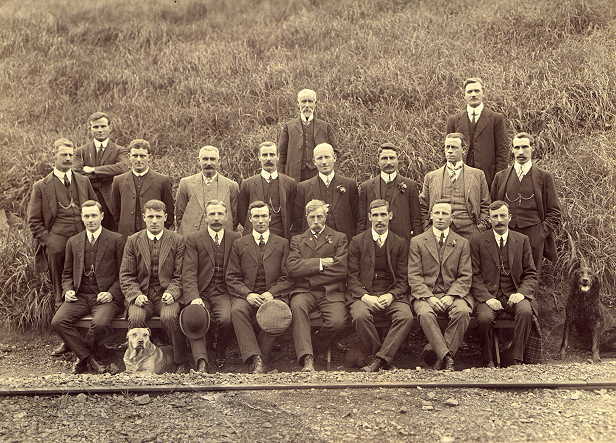 – Railway workers established Paekakariki Rugby Club. Bowling Club established. – Paraparaumu Airport was opened. 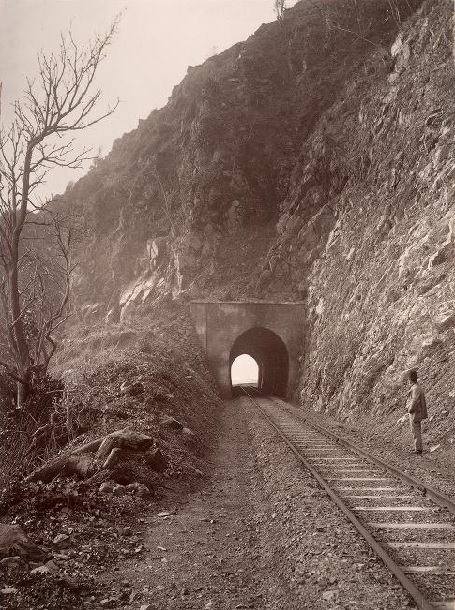 – Electrification of the railway from Wellington to Paekakariki. – First stage of Rail/Air shed erected. – US Marines arrived and three camps (Camp Paekakariki, Camp MacKay and Camp Russell) were built in six weeks. – Guadalcanal survivors joined by other troops at Paekakariki. – In June, 9 marines drowned at Whareroa Beach during exercise with landing craft. – Late October they embarked for battle of Tarawa. – Wellington City Council made Queen Elizabeth Park a recreational area. – Coastal Developments subdivision: Tilley Road, Clarke’s Crescent and Te Miti Street, with adjoining cul-de-sacs. – Paekakariki became a County Town. Crown subdivision of Tarawa Street and Porter Place. – Marine Memorial Gates erected. – Present surf clubhouse erected. Former Surf Club becomes the Memorial Hall. – Station Refreshment Rooms closed. – Automatic telephone exchange built, New Zealand’s first fully electronic exchange. – Kapiti Borough Council established, with Paekakariki as a Ward. – The Southwards Car Museum was established. – Bill Carson, village personality & chemist, closes his shop after 50 years. – Beginning of gymkhanas and horse sports in QEII Park. – Rail Electrification extended from Paekakariki to Paraparaumu. – Whareroa Farm sold to Land Corp.
– Kapiti Coast District Council established, incorporating Otaki and Waikanae. – Wellington Regional Council took over QEII Park. – Public section of station building closed and threatened with demolition. – Paekakariki Station Precinct Trust established to save the station. – Paekakariki Station Museum opened. – Nga Uruora set up to reverse the drastic decline in coastal forest. – Flooding of the Waikakariki Stream causes severe damage in the township. – Whareroa Farm to stay in public ownership. – St. Peter’s Hall gifted to the Paekakariki community to be restored. During the early days of Paekakariki, one of the first Europeans associated with Paekakariki was a whaler and trader named “Scotch Jack” Nicol, who roamed about cook strait and the east coast. Well known to local Maoris, he married a Maori of high birth, Te Rau-o-Te-Rangi (known as “betty”). Betty achieved fame by swimming from Kapiti Island to the mainland near Waikanae with her child strapped to her back to warn of an impending Maori attack. One of the couple’s daughters later became the mother of Sir Maui Pomare. In the days before the European settlement there was a Maori Pa, although not a very big one, at Paekakariki. Te Rauparaha was badly worsted at Paekakariki about 1823 by local Wellington tribes after crossing to the mainland from his Kapiti Island re-treat and was subsequently forced to fee to the north. From that date on little is known about Paekakariki. Not far away from Paekakariki, however, in the Horokiwi Valley which leads up to the Paekakariki hill road there was fighting against the formidable Te Rangihaeata. The Paekakariki hill road was constructed in 1848 by soldiers of the 58th regiment. In the 1840’s Nicol and his wife set up and accommodation house at Paekakariki which gained high reputation for its hospitality and cleanliness. The 1896 “Cyclopedia of NZ records that the Paekakariki accommodation house and the hotel had been burned down three times up to 1883”. The one then built, then built in the early days of the Wellington Manawatu Railway Company, According to an old newspaper report, stood beside the railway line opposite where the signal box recently stood and was so conveniently situated that the passengers could step off the train and into the bar. The present hotel which has been altered several times, was built on its present site, further to the south, following yet another fire, in the early 1900’s. Paekakariki history dates back to the 1800’s, to the time of the Maori. 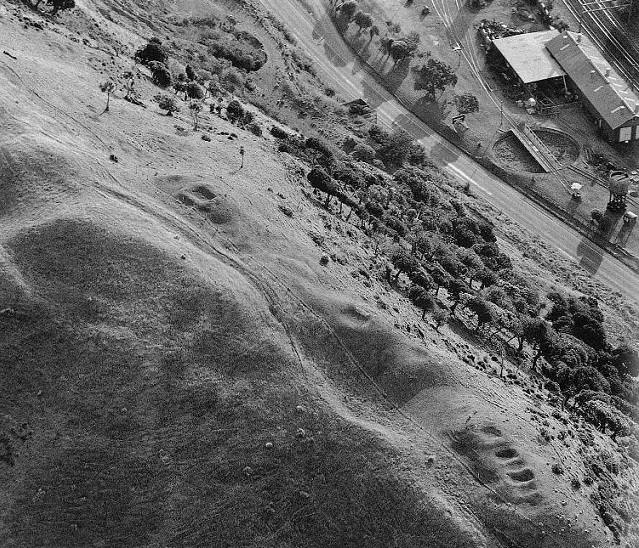 There is evidence of Kumara Pits on the hill above Paekakariki Railway Station and there are traces of Pipi rubbish pits in some local gardens. Originally the only access to Paekakariki from Wellington and Wairarapa regions was from Pauatahanui over the Paekakariki Hill. This was in the days of horse drawn coaches. Cobb and Co were the carriers of mail in those times and so Paekakariki became known as a coach stop and was used for a passenger stop over the changing, watering and feeding of horses. The existing Holtham Building is believed to have been Cobb and Company stables. 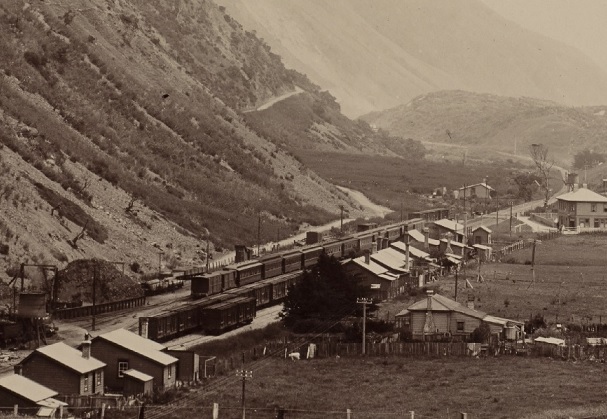 The original Paekakariki post office was located in the Hotel in 1869 and later moved to the Railway Station. It was not until the 1920’s that the post office was moved to it current site in the village. European farming in this area dates back to the 1850’s the land is hilly and the predominant farming was sheep. In Paekakariki the main family were the Smiths and all of the descendants came from the three Smith brothers. For a small village it was notable that in 1931 there were 42 residents named Smith, even though many of these folk had no original family connections. Present day agricultural endeavours have extended to market gardening, horticulture, forestry, and some sheep farming on a much smaller scale than previously. Goat farming was popular a few years ago but was virtually abandoned when market prices fell. There still remains a number of feral goats which can been seen roaming the hills. The present day Paekakariki Hill road was open in 1865. 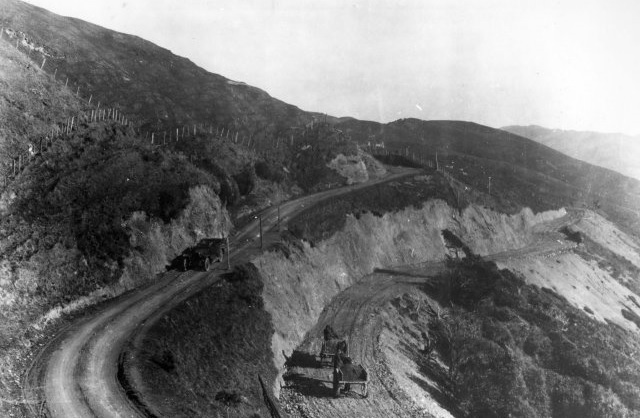 The centennial highway which runs from Pukerua Bay to Paekakariki was opened during 1940 and greatly improved the access to the Kapiti Coast, eliminating the arduous climb over the Paekakariki Hill. With the advent of the railway the first school opened in 1886. The schoolhouse is now a private home. The current school caters for 200 pupils, with a Kohanga Reo attached. In 1906 the sub division of land for the establishment of holiday homes was commenced. Many Railway houses were built in Paekakariki over the years. Two large old settlements in Ames street and the railway station yard have now gone. The remaining homes have been sold into private ownership. During the summer months Paekakariki attracts hundreds of visitors. Batchelors Motor Camp provides first class camping facilities for the numerous camper vanning international tourists.Today in Paekakariki’s population is just under 2,000 people in 750 households. Paekakariki is a village that is unlikely to expand any further, being bounded by the sea, hills, main roads and Queen Elizabeth Park. The Paekakariki Hotel, of 35 rooms, which was burned yesterday, was built in the coaching days, and used as a stopping-place on the road to Foxton. It was insured for £2500. Nothing was saved, and Mr Hilton, the landlord,lost heavily. There were thirtyone boarders in the house, all of whom lost their belongings. A complaint which has often been made in regard to Paekakariki was that there was little provision for amusement, and now that has been remedied, for a first-class billiard saloon is provided by Mr. Carter in rooms immediately opposite the hotel. Paekakariki, under Mr Carter’s guidance, now offers facilities second to none. 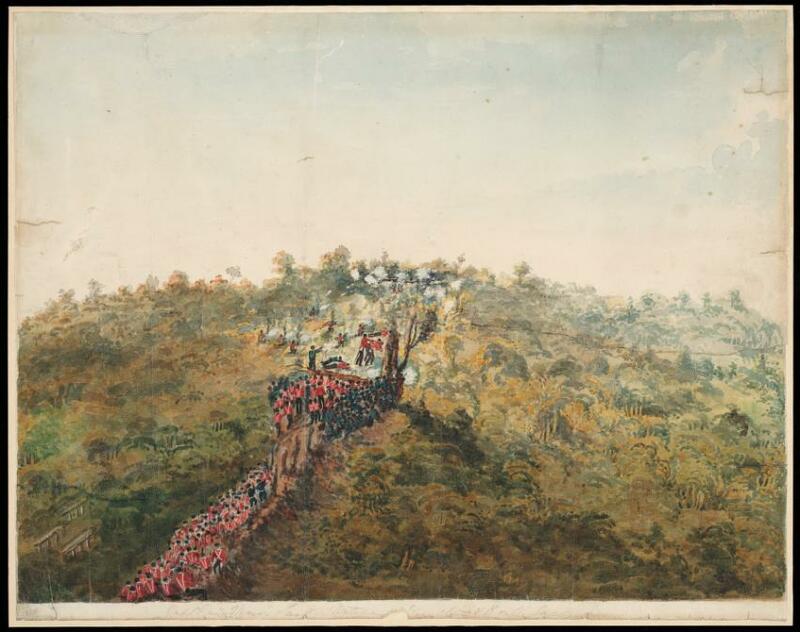 About eighty members of the Wellington detachment (Nos. 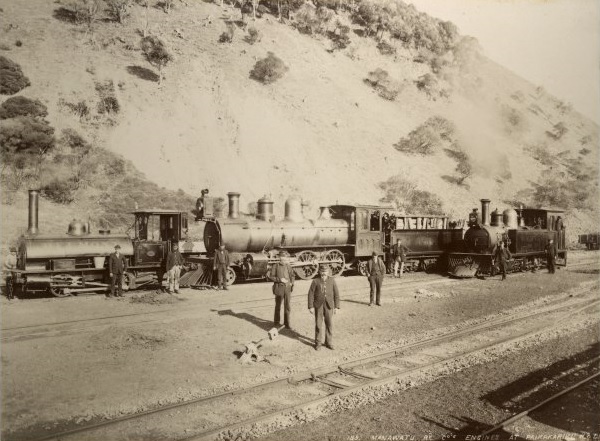 7 and 8 Companies) of the New Zealand Railway Engineers went into camp at Paekakariki this afternoon. The camp is not compulsory, but as the Railway Engineers are not, owing to the emergencies of the Service, required to undergo the annual eight days training required by other Territorials, a scheme of week-end camps has been devised, and it is pleasant to note that the members of this branch of the Service have shown a laudable enthusiasm in attending on such occasions. The camp is situated close to the Paekakariki Railway Station, and is under the charge of Captain P. St. John Keenan, Staff Officer for Railways. The camp was pitched yesterday by a squad of eight men, under Quartermaster-Sergeant Slattery. R.N.Z.A., and Lieutenant Bond, and the officers in command are Captains McDonald and Mouat, and Lieutenants Mardon, Queen, and Rohlof. Staff Sergeant Bale, R.E., and Quartermaster- Sergeant Crichton are also in attendance. The syllabus of work laid down includes instruction in elementary military engineering, together with a certain amount of drill and a considerable amount of physical drill. The men will return to town by the 5.50 train on Monday morning. combined office and postmistress’s residence. In the business portion is a public office, telephone bureau room, mail room, telephone exchange room, and store room. A set of private letter boxes is accessible from the entrance porch. 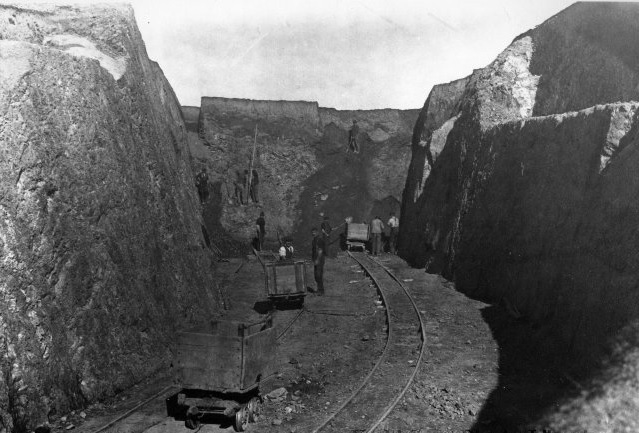 Note the coal mining type buckets on the rails and work gangs using only picks and shovels to uplift spoil.. Cutting still looks the same today. Old maori kumara storage pits on the hills above Paekakariki. The site commands a panoramic view of the Kapiti District. Burglars made their way into the Paekakariki railway refreshment rooms on Saturday night during the absence of the lessee, and carried away a safe containing about £200 in cash, some bonds, and deeds. Apparently the entry was made through a window which was forced with a crowbar taken from a guard’s van nearby, and the safe, weighing the best part of a quarter of a ton, was carried across the railway, lines and placed on a motor vehicle at the roadside. Several Wellington detectives have been sent up the line to make inquiries. The safe, with its front blown out, was found a few days later on Moonshine Hill, on the range between Paekakariki and Upper Hutt. A further notice to airmen regarding the crossing of Cook Strait has been issued by the Director of Air Services (Wing-Commander Grant-Dalton) as an amendment to the notice issued some months ago. Machines proceeding along the West Coast of the North Island and not wishing to pass over or land at Rongotai are now required to circle over Paekakariki station until given the all-clear signal, a white cross placed on the ground at the centre of the north platform between the station building and the north signal-box. This signal is not to be taken as indicating that the weather ahead is favourable, but merely that the aeroplane has been noted as proceeding to cross the Strait or as having crossed tho Strait. Pilots are to ensure that they advise the point of departure as soon as they reach their destination. sports events were held. Miss J. Murray won the ladies’ championship, and Mr. D. Charles the men’s championship. Mrs. C.Charles presented the prizes. A fine of £2 was imposed upon John Morgan James, a machinist, aged 41, who appeared before Mr. J. L. Stout, S.M., in the Magistrate’s Court today, charged with using obscene language. Sub-Inspector L. B. Capp said that James, who was a passenger in a train from Palmerston North, went on to the platform at Paekakariki in a drunken condition and commenced to behave in a disorderly manner, ringing the station bell. The tearooms were not open and he became annoyed and used obscene language. James said that he had not had drink for two years, but he had been to the races at Foxton and had had a few beers. It was the beer that was responsible. On a charge of drunkenness he was convicted and discharged. A German-born alien, Friedrich Bondy, electrician, faced three charges under the Emergency Regulations, before Mr. J. L. Stout, S.M., in the Magistrate’s Court today. Through Mr. A. R. Cooper he pleaded guilty to travelling more than 20 miles from his place of abode without permission; absenting himself from his home without permission for more than 24 hours; and failing to produce his alien registration card when required to do so by a police officer. Mr. Cooper explained that Bondy was given instructions at short notice by his firm to undertake an electrical installation job at Paekakariki, which was expected to be finished the same day. He did not realise that Paekakariki was outside the 20-mile radius of travel allowed him under the regulations, and expected to be absent for under 24 hours. The job took longer than expected, and as Bondy was catching the train back to Wellington he was recognised by Constable Phillips and asked for his registration card. He did not have this in his working clothes. Bondy was fined £5 on the first charge and convicted and discharged on the remaining two. A public meeting was held to wind up the affairs of the Paekakariki Patriotic Society. The president (Mr. D. F. Smith) said that during the society’s life of five years and nine months it had fare-welled 105 Paekakariki boys leaving for service overseas, and had presented each with a gift from the residents. The treasurer’s report showed that the society had collected £550 and spent £519, leaving a balance of £31. “It was decided that the £31 be donated to the Hobson Street Hospital towards the Christmas fund for limbless soldiers. Paekakariki means : “a ridge upon which Parakeets congregate”, or, “the perch of the Green Parrot”. ( an American ) 1884-7.
was transferred to the Fisherman’s Table site. in the approaches to Cook Strait. Charles Slight leased the hotel and paddock from Mrs Tilley and under a clause in the lease he was to receive some 200 pounds if he could find some means of holding the drift of sand. He went away to South Africa,and on his return, he planted yellow lupin seed he had gathered at Durban. The lupin seed thrown on the sand germinated and flourished. It was the first country life-saving club in New Zealand. Paekakariki had a golf club. The club became very popular and the course improved out of all knowledge. The first “pavilion” was a condemned railway cottage from the Quarry, which was bought for a few pounds. There have been four Surf Club houses in Paekakariki since 1913. The first two club houses were at the bottom of the Sand Track. Not a good site as they were destroyed in major storms. The third club house was opened in 1928 next to Campbell Park – now Memorial Hall. The current club rooms were opened in 1966. There have also been Four Hotels in Paekakariki. north of the crossing, opposite railway station. Second was destroyed in a fire. Third was demolished in 2006. In 1945 the only pharmacy between Porirua and Otaki was Bill Carson at Paekakariki. He was well loved in the area and used to service Paraparaumu mainly by Railway bus, the drivers used to carry the medicine up to Paraparaumu free and you picked it up from the bus depot. 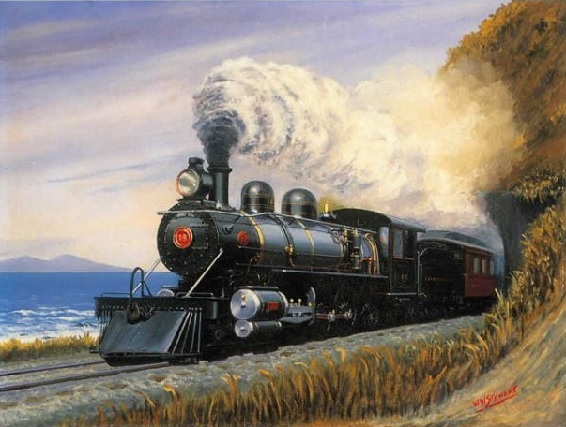 People at Plimmerton would give their prescription to the guard of the train who passed it on to Mr Carson. He would make up the prescription and give it to the guard of the next south bound train. Someone then had to meet the train at Plimmerton to receive the medicine. In the 1930s movies were shown in St Peter’s Hall, beside the church on the corner of Ames Street and the township. Mr Tootle from Seatoun in Wellington city had the weekly contract to show films. There was only one projector in the box, reached by a ladder up the back wall of the hall. Mr Tootle had an old Bedford car which he drove all the way from Seatoun to get here. In the early thirties this was over the Paekakariki Hill. About 8.15 pm our general storekeeper would often ring Pauatahanui general store to see if Mr Tootle had gone past. This gave the locals at the theatre an idea of how much longer they had to wait.